How Much Does It Cost To Open a Café? Coffee is becoming increasingly popular across the word and coffee shops are proving to be profitable. Many people are therefore dreaming to open up a café where they can serve high-quality coffee with wholesome fresh snacks. Between a dream and reality, there’s cost. Startup cost involves planning, development and strategy which has shuttered many people’s dreams because they figure out how expensive it is for them. If you have the passion to serve coffee with love, don’t kill your dreams because this business will recover your money in no time. If you are wondering what amount you should have to start a café, we have good news for you as we tell you how much it will cost you. When starting a café, the first thing you need is a business plan that highlights the step to take. A business plan also helps you to examine whether it's worth opening a coffee shop or not. When drafting a business plan, many people would ask how much profit the business can attract for instance in a month. We may not have a specific answer to that question but the amount you’ll make depends on your ability to attract customers and retain them. Generally, the cost of a café’s business plan ranges from $500-200 depending on the size. Finding a perfect space for your café is not always a walk in the park and its cost differs depending on the size of your café, the location, and the availability of space in your community. Here, you’ll incur the cost of buying or renting a commercial space, the cost of paying utilities (electricity, gas, water, etc), renovation cost, and installation cost (coolers, refrigerated display shelves, freezers, etc). Even though there’s no exact estimate of finding and developing space, anything you do to make the space usable and attractive to your customers adds up to your opening expenses. 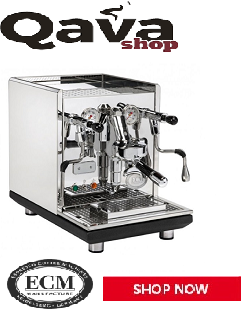 When thinking about a café, the first thing that crosses your mind could be an espresso machine. However, there’s more to that and you have to incur the cost of your transaction technology. You can have an option of going with the traditional computer-based strands or the current technology of the iPad POS system. Either way, POS systems play a vital role in your café’s daily operation. The cost of modern POS software ranges from $50 to $200 a month while that of hardware bundle costs a one-time payment that ranges from $1200 to $4000. With that in mind, the cost of high-quality equipment will cost you as much as $10000. Therefore, instead of killing your dreams of starting a café because the cost of equipment alone is too much, start slow and increase with time when your budget allows. When planning a café, it goes without saying that there’s a lot to be done and given that you can handle all of them by yourself, the startup cost must include finding staff. You’ll need an experienced coffee maker, and financier among others and they will need to be paid well of course. Before even opening a café, you’ll need to create awareness to the people within your area of interest that a coffee shop is coming soon. Once you open it, you’ll need to let people know that there’s a high-quality coffee with fresh snacks being served at your café and tell them the reasons they should try them. That’s marketing which can cost up to $500. At this point, you are a step closer to opening your own coffee shop. However, you need permits that allow you to run your business, hire employees, play music and serve food. One of the permits you must have is the Business License and Employee ID Number (EID) which lets you run a legitimate business with legal employees. Most importantly, you’ll also need a Certificate of Occupancy, and Food Service License. All these permits come with a price tag. Starting a café is just an idea but turning it into an action will cost you a minimum of $80,000. The amount is too much and many people are reluctant to invest with such huge amounts in a business they are not sure about whether it will bring good returns or not. However, I would like to assure you that the demand for coffee is on the rise and people are willing to spend their money on well brewed high-quality coffee. So if you have this dream, go ahead and open a coffee shop, serve quality coffee, respect your customers and sit down as you enjoy significant returns.